When you were just a teeny human being, your parents were there to give you everything you need. Now that they are old, it is time to return the favor. Your elderly parents are going through a transition and they need you to assist them with it. Peachtacular Home Health Care, a home health care in Metro Vancouver, lists down some simple ways you can strengthen your bond with your aging parents. Spend some time together. 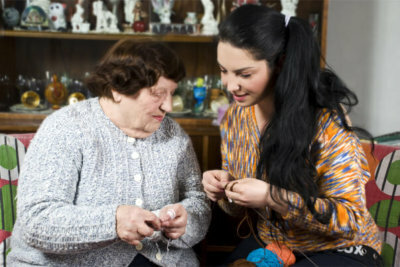 No matter how busy you are with your work, you should find some time for your elderly parents. Take them out on day trips or some excursions that they will enjoy. You can also treat them at their favorite restaurant. If your parents do not feel like going out, you can cook them their favorite food instead. Share some fun memories. Elders tend to lose their ability to remember things. In fact, many elders are at risk of developing dementia. Engage your aging parents with mentally stimulating activities that can improve and enhance their memory. Try scrapbooking. Bring some art materials and photographs and encourage your parents to make a scrapbook together. Ask them for bits of advice. They may not say this, but your elderly parents want to feel that you still need them. They want to feel that their views and opinions matter to you. Do not hesitate to tell them about your woes and ask them some pieces of advice. Keep your sense of humor. They say that laughter is the best kind of medicine. Well, may we also add that laughter keeps family members together? Laughter does not only take away the stressors in your life, but it is also a great way to bond with other people (in this case, your parents). Throw a few jokes on the table every now and then. You can also watch funny movies together. Learn about their medical condition. Communication is the key to a healthy relationship, including relationships between parents and children. However, seniors oftentimes find it difficult to express themselves due to various factors, like their medical condition. In order to fully understand them, learn all the important details about their medical ailment. Look for common interests. No matter how far your age gap is with your elder, you can still find a common ground. Take advantage of your mutual interests. If all of you love to hike, then go on hiking. It is a fun way to bond as a family. Caring for a senior can be a tough task to take on your own. Do not be afraid to seek professional help. Peachtacular Home Health Care provides one-on-one personal care. If you have any questions regarding the services we offer, please do not hesitate to call us up. You can reach us at 778-859-2695.